“Why are the top 10 medaling nations top 10?” Professor Daniel Johnson asks. “It’s not that athletic prowess is completely independent from wealth and population. These nations have more resources at their disposal.” Daniel Johnson, a college professor and an economist in Denver, Colorado has developed a mathematical model for predicting each nation's Olympics success. Professor Johnson's model weighs factors such as wealth and population rather than rely on the detailed knowledge of individual athletes' abilities. The model, which was concocted by Johnson and former student assistant Ayfer Ali in 1999 at Harvard, also considers a country’s climate and the advantages of hosting. Though the professor predicts the US will still lead the overall medals table with 103 medals this year, China will be aided by a booming economy, its host advantage and polluted air to take home the most gold medals—44 to be exact. Based on recent Olympics history, the professor has had a pretty good success rate at about 95%. Here's the link to Johnson and Ali's Beijing 2008 Olympics medals forecast. The duo predict Pakistan will win 12 medals, including three golds, at Beijing, just above Israel with 10 medals, including 9 golds. He said the U.S. would win 103 medals, 35 of them gold at Athens in 2004. Real numbers: 103 and 37. But when it came to forecasting China's output in Greece, the economic indicators were way off. Johnson and Ali said China would win 39 overall and 15 gold. They took 63 and 32, respectively. The Johnson-Ali model has not done well for nations other than the top 10. For example, Pakistan, which Johnson suggested would win seven medals, including three golds, won no medals at all at Athens. In fact, Pakistan has won three golds,three silvers and four bronze medals, a total of 10 medals in the entire history of its participation in Olympics since 1948. Eight out of the ten medals were won by Pakistan's field hockey team. The last Olympic medal Pakistan won was a bronze in 1992. India has won eight golds,four silvers and five bronze medals, a total of 17 medals in its entire Olympics history which began in 1927 while Sri Lanka has won two medals in its history at the Olympics, one silver and one bronze. The rest of the South Asian nations have never won any medals at the Olympics. Since the 1984 Olympics in Los Angeles, there has been a steady increase in the number of countries that have won at least one medal. The number grew from 47 nations in 1984 to 52 in 1988, 64 in 1992, 79 in 1996 and 80 in 2000. For the first time in two decades, however, the number failed to rise in the Athens Games of 2004. Only 74 countries claimed at least one medal in those Olympics. Majority of the nations of the world, including Afghanistan, Bangladesh, Myanmar (Burma) and Nepal in South Asia, have never won any medals in the history of the Olympics. Many countries lack the quality athletes who can qualify to participate in the Olympics. For example, no Bangladeshi athlete has ever qualified for the Olympics. In order to broaden the participation in the Games, the International Olympic Committee (IOC) provides some wild cards to those countries whose athletes have failed to get any qualification. Afghan Nisar Bahawe is already a proven world class black belt and he has qualified for Beijing on his own merit rather than through a wild-card system to participate in Tae Kwon Do competition. 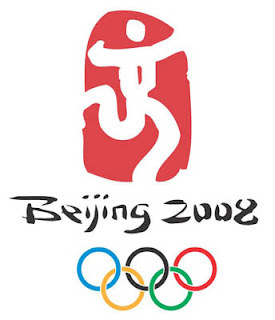 Bangladesh applied for 6 wild cards for the Beijing Olympics. The IOC only gave the country five, while inviting one female shooter, Sharmin, to watch the Games as a spectator. Here is the link to an interactive map by New York Times showing Olympics medal winnings by countries. Johnson's formula has come under criticism for several reasons. The critics ask why Cuba and Ukraine aren't included in his predictions, or why India, with factors similar to China's, isn't high in the medal projections. Johnson's response: Cuba's economic reports are too sketchy to trust, Ukraine's political history is too thin and India is too democratic, Johnson says. Critics also say Johnson should consider the culture of a nation, which would explain how a small country such as Australia blows away India. While Indians were disappointed by the failure of their hockey team to even qualify for Beijing Olympics, India's first-ever individual gold won by Abhinav Bindra in 10m air rifle shooting, has come as welcome news for the people of India. Meanwhile, Pakistani hockey team has made a disappointing start by losing its first match to the lowly British field hockey squad. The epicenter of field hockey seems to have moved from the South Asian sub-continent. Overall, the two major South Asian nations remain very low in the field of health, fitness, athletics and competitive sports. The only way to fix this situation is to apply greater national focus starting with school children. The only way to fix this situation is to apply greater national focus starting with school children. "Interesting article and you have made some valid points here. However, for a poor country like Pakistan that already does not spend enough on schools and education and whose infrastructure, roads, water, rails, gas, electricity etc are all lagging far behind the actual demand, it would be prudent not to spend money on training people for Olympics or for that matter any sport. Having said that I would like to note that regardless of its low medal count in the Olympics, Pakistan with all its drawbacks is a power house in several major world sports: Field Hockey, Cricket, Squash and to some lesser extent badminton, Polo and table tennis." "I am not arguing for any special Olympics-focused training, just basic health and fitness as a priority along with education. In fact, most of the people concerned with human development use the words "health" and "education" bracketed together. It's more a matter of awareness than anything else. "Health" and "fitness" are not luxuries but necessities for any nation, rich or poor." The fact that Pakistan has won no medals yet at Beijing is not surprising. However, the biggest surprise so far is that Canada remains medal-less after 5 days of Beijing Olympics. Johnson-Ali predict 17 medals for Canada. It doesn't seem likely at all. India has already won one gold to make it on the medals table this year. Afghanistan's Rohullah Nikpai has made history by winning the first-ever Olympics medal for his country, a bronze in taekwondo, at Beijing. India has climbed the rankings with two medals now: A gold in air-rifle for Abhinav Bindra and a bronze in boxing for Vijender Kumar. Pakistan is no-show on Olympics medal list to date at Beijing. Congrats to Afghanistan and India on their success. Hope they inspire Pakistanis to do better. I don't mean this as a slight to Pakistan. But the greatest thing that inspires Paskistan to do well is their neighbors India doing well. So I look forward to some medals from Pakistan in the next Olympics. It's no slight. I agree with what you said. I think the traditional rivalry between the two South Asian neighbors can and should be healthy for both to try and excel in the fields of economics, athletics, sports, human development, etc. Here's a report of very candid talk by India's Olympic Gold Medalist Abhinav Bindra. India's Olympic champion shooter Abhinav Bindra has hit out at the nation's sports coaches and officials, saying they "know nothing" about sport. "Indian athletes have no respect for most officials," the 26-year-old told the Times of India. India won their best ever haul, a gold and two bronze medals, in Beijing. But Bindra, who won gold in the 10m air rifle event, said there was "no magic solution" to make the underperforming nation a sporting power. "If we want to get to double digits, we need to target 2016 and start working from today," he said. "But the respective federations have no vision and I don't see that changing. I wish I had a magic solution but unfortunately, I don't. The IOA has to play a role in building athletes. It does nothing." I couldn't agree more with Abhinav. I think what he said probably applies to Pakistani sports officials, too. Commonwealth Games 2010 ended today in New Delhi, India. Representing the host nation, Indian athletes performed very well, ending up second on the medals table with 101 medals, including 38 golds, beating England to win the second place with just one more gold medal than England's 37 golds. As expected, Australia topped the medals table with 177 medals, including 74 golds, down significantly from 221 medals they won in 2006, according to the BBC. India doubled their medal count to 101 this year from 50 medals in 2006. England also made gains, winning 142 medals this year, up from 110 in 2006. Pakistan ranked 17th, on a list of 37 medal winning nations. Pakistan's medal count remained flat at 5, including 2 golds. In terms of population per medal, Nauru (2 medals) topped the list with one medal per 5000 people. India and Pakistan ended up near the bottom with one medal per 11 million and 33 million respectively. Bangladesh was at the bottom with its one bronze medal for its entire population of 162 million people. In terms of GDP, Nauru topped with 1 medal per $119 million. India and Pakistan were near the bottom with $12 billion and $33 billion respectively. Bangladesh was last with just one bronze for its entire GDP of $94 billion. This year's edition of the Tour de Pakistan took riders from the southern metropolis of Karachi to the northern city of Abbottabad after 11 stages and more than 1,000 miles. Money is too tight to organize mountain stages so in a country that is home to the world's second-highest peak, the course is mostly flat. Lack of funding has been a chronic issue for the event, and during its 28-year existence it has been held only 16 times. With a budget from the government of less than $60,000 and virtually no sponsorship, organizers have to be creative: Accommodation for cyclists ranges from courthouse buildings to a sugar mill. In early March, days before the start of this year's race, Idris Haider Khawaja, the race director, considered halving the $10,000 prize money—which is split among the top 10 finishers—to help cover expenses, but decided against it. Mr. Khawaja figures that sponsors would line up if only he could attract foreign riders. But that's an uphill task with a raging Islamist insurgency responsible for bombings throughout the country. Mr. Khawaja says no one has ever attacked riders during the competition. Still, Indians didn't get permission from their government to participate; Sri Lankans and Nepalese couldn't be enticed with free airfare; and Westerners were scared, he says. Ferdinand Bruckner, an Austrian cyclist, competed in Serbia during its war with Kosovo and has ridden through rebel territory in Colombia. But Pakistan was a stage too far. He says he was originally tempted but eventually backpedaled. "If I win a stage or I'm the leader in this Tour, it could be that certain persons don't like it," he says. "In Pakistan it's possible that we can be a target." The Tour secured the participation of one foreign team: Afghanistan. With a 10-year-old war at home, the five members of the Afghan team say they feel perfectly safe in Pakistan. "In Afghanistan the situation is not good, and the security is not good," said 24-year-old Afghan rider Hashmatullah Tookhy. "In Pakistan, the whole time we relax." All participants start the day with a breakfast of spicy omelets and lentils before riding up to 125 miles in 90-degree heat. Four of the nine Pakistani teams are fielded by government agencies and equipped with good-quality bikes. The remainder is made up of students, laborers and jobless cyclists who often struggle to find functioning bicycles. Taifoor Zareen, 20, said he paid about $23 for his bike. "It's the cheapest bike in the race, but I'm grateful that I got this bike," he said. And he should be. On another bike, one of his teammates couldn't shift gears during the entire first stage. The Pakistan squad comes bearing 56 medals as they return to the country today after a successful run at the recently-concluded Special Olympics Summer Games 2011 in Athens, Greece. Pakistan bagged 17 gold medals, 25 silver and 14 bronze medals while competing in a week-long event that featured 7,500 athletes from 180 countries around the world. The 82-member contingent participated in eight sports including athletics, aquatics, badminton, basketball, bocce, cycling, football and table tennis. According to the delegation head Ronak Lakhani, while it was important that the country managed to secure 56 medals, however, the Special Olympics of Pakistan’s aim was to encourage all athletes and ensure that every member of the squad was treated like a winner. During the competitive week at the Games, some athletes made a bigger mark than others. Adeel Ameer, an 18-year-old came out victorious in the 100-metre run, high-jump and 4×100 metre events to become the most successful athlete in the squad, grabbing the top positions in the three events that he participated in. Meanwhile, 11-year old Bakhtawar Gul secured two gold medals in the 100-metre run and long jump-events and a silver medal in the 4×100-metre relay race. The Games, however, were not free of setbacks. Rahimullah Baig had to face a disqualification in the 800-metre run, but the 17-year-old spirited athlete never gave up hope and managed to win a silver medal in the 1500-metre run and bagged a gold medal in the 4×100-metre relay race with Ameer, Tahir Siddique and Sakhawat Ali, who also won silver medals in shot-put and the 200-metre individual race. “Athletics team won the most medals for Pakistan,” coach Javad Arshad told The Express Tribune. “All my athletes have improved because of the strong domestic structure that we have in place to train them. Meanwhile, Amir Munawar emerged as the only swimmer to win two silver medals at the 25-metre breaststroke and 25-metre freestyle events, whereas cyclist Sana Javed bagged a gold medal in the five-kilometre race and silver in 1000-metre event. Billawal Aslam secured one gold and two bronze medals despite a prior shoulder injury. In the team sports, Pakistan men and women basketball teams won silver medals, while Suhail Khan and Rabia Saeed won badminton singles titles. Similarly, Mehwish Iftikhar and Arsalan Ahmed won table tennis singles events in their respective categories. KARACHI: Some 32 young footballers between the ages of 10 and 18 from all over Pakistan can look forward to training by Manchester United players and coaches, including Sir Alex Ferguson, thanks to an arrangement between the world-famous professional football club and a mobile telecom company here. “Seeing the popularity of football among youngsters in Pakistan, Zong has entered into a three-year contract with Manchester United. It is hoped that this one of a kind partnership will lead to prosperity, growth and triumph for the sport here,” said the company’s Director Advertising and Promotions Rizwan Akhter at a press conference called to announce the union at a local hotel here on Tuesday. The partnership gives Pakistan rights to exclusive news and footage of the English clubs activities in order to bring the 150,000 Manchester United fans here closer to the club and their favourite players. “The move will go a long way in promoting football in Pakistan and inspiring more young players to take up the sport here,” explained the company’s representative. “It will also allow us here to look more closely at the club’s way of working and their formats in order to take out and follow the positive things from there to help improve the infrastructure here,” he added. “Though we are focusing on the grassroots level for now, it is hoped that along with the inspiration gained from learning more about the famous English club with such an interesting history will come improvement in football grounds and academies here,” pointed out the gentleman. Meanwhile, to a question about the possibility of Manchester United players or coaches visiting Pakistan, the organisers said that the present security situation prevents that from happening until things improved here. While Pakistan’s stature in world football remains unchanged, the landscape of football in Pakistan has changed tremendously over the last 10 or so years. Fundamental to this has been the setting up of football leagues coupled with the impact of cable/satellite resulting in matches of all top foreign leagues of the world being telecast live. Following on from the success of the department based K-League (brainchild of the late Hassan Musa of PIA), Karachi United FC launched the Karachi Premier League in 2003 (Karachi League). Thereafter, in 2004, the PFF organised the first ever national league, i.e., the PPFL. While other leagues have been set up from time to time, PPFL and the Karachi League are the only leagues that have managed to maintain continuity. Whereas the Karachi League was and continues to aim at the promotion of club football in Karachi, the PPFL features the top teams in the country which essentially comprise of departments and the armed forces teams plus a handful of clubs. Three teams, namely, Wapda (four titles), Army (two) and this season’s top team KRL (who will add a third title to their two previous ones) have been dominant in the nine seasons of the PPFL. On the other hand, the Karachi League has seen as many as seven different winners in its past nine seasons with Shahzad Mohammadan FC being the only club to have won two titles. The complete list of winners of the Karachi League is: Hyderi Baloch (2003), Lyari Labour Welfare Centre (2004-05), Young Ansari (2005-06), Keamari Mohammadan (2006-07), Shahzad Mohammadan (2007-08 and 2008-09), Chanesar Blue (2009-10), Baloch Youth (2010-11) and Burma Mohammadan (2011-12). Whereas the PPFL follows a promotion/relegation model with teams from the second division, i.e., the PFF League (PFF-B) being promoted (bottom two of the PPFL are replaced by the top two in the PFF-B), given the large number of clubs in Karachi, the Karachi League essentially sees the top eight or so teams maintaining their places, whereas the remaining eight to 12 are nominated by the district associations of Karachi. The Karachi League has seen a constant evolution to manage the demands of the associations as well as sponsors. Hence, initially having been launched as a 10-team single league event, for the last few seasons, it has featured 20 top Karachi clubs divided into two groups of 10 each with the top four in each group advancing to the Super League/Playoff stage. From these eight, the top four qualify for the semis and final and the league has become more akin to the MLS format than the European model. Where the PPFL has been successful is that it has been able to maintain the same number of teams and the proper double league format. However, criticisms abound as regards the congested nature of the fixtures, with players sometimes being subjected to three games in five days. The fact that PPFL essentially features department and armed forces teams has also meant that attendances are poor, with the best supported teams being the Balochistan clubs Afghan FC (Chaman), Baloch FC (Noshki) and Muslim FC. In stark contrast, the Karachi League, despite being essentially at the level of a third division, routinely attracts healthy audiences with the highlight being the 2008-09 final between Shahzad Mohammadan and Nazimabad FC where a huge crowd of over 18,000 witnessed proceedings at the KMC Stadium. The playoff matches of that season’s Karachi League were also broadcast (recorded and not live) on TenSports. Last season’s final between eventual champions Burma Mohammadan FC and Karachi United FC saw a healthy crowd of 8,000 at the Baloch Mujahid Stadium. KARACHI: Pakistan have qualified for the Winter Olympics to be held in Sochi, Russia, in February next year. After participating in International Ski Federation (FIS) races held in Europe and Asia, Pakistan attained the required FIS points for participation in the Olympic Winter Games (OWG), the Ski Federation of Pakistan said on Sunday. The Pakistani contingent comprising three skiers participated in the FIS races held from February 17 to March 18 in Italy, Lebanon and Turkey. Mir Nawaz, Karim and Muhammad Abbas of Pakistan achieved 137, 130 and 122 FIS points, respectively. Mir Nawaz won a silver medal in a momentous run of the FIS race (Slalom discipline) in Lebanon. Muhammad Abbas of PAF was the first Pakistani skier to feature in the Giant Slalom discipline of Alpine Skiing during the Olympic Winter Games 2010 in Vancouver.